In 2014, significantly more 8th, 10th, and 12th graders in Clark County, Washington, were using electronic smoking devices than smoking cigarettes. In fact, many of them had never picked up a cigarette. Local business owners noticed more customers of all ages using e-cigarettes in places where state law prohibits smoking. Business owners wanted to keep their shops and restaurants free of aerosol – the harmful emissions e-cigarettes release when people use them – but they didn’t want to offend patrons or hurt business. At the same time, the Clark County Board of Health began raising concerns about the use of electronic smoking devices to consume marijuana in public places. Recreational marijuana became legal to purchase in Washington in 2014, but state law does not permit public consumption of marijuana. The Board of Health recognized unregulated e-cigarette use could allow public use of marijuana, reverse gains made by the tobacco control movement, and expose people to secondhand aerosol. It could also send the wrong message to kids – that it’s O.K. to smoke and use electronic smoking devices. The Board of Health decided to address these issues by restricting youth access to electronic smoking devices and prohibiting the use of e-cigarettes where the state prohibits smoking. But could a single policy accomplish both goals? To find out, Cyndie Meyer, program manager at Clark County Public Health (CCPH), and Theresa Cross, health educator at CCPH, arranged for the department’s prosecuting attorney to attend a ChangeLab Solutions training on regulating the use and sale of electronic smoking devices. After the training, CCPH started developing a policy. 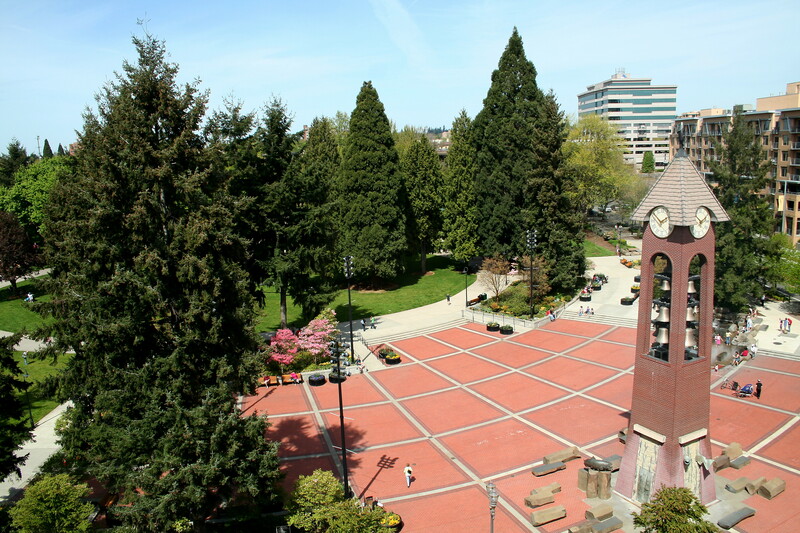 They modified ChangeLab Solutions’ Model Ordinance Regulating Electronic Smoking Devices to fit the county’s needs, and incorporated some language from a similar ordinance passed in Multnomah County, Oregon. The draft ordinance explicitly prohibited the use of e-cigarettes in places where the state already prohibits smoking. Building off an existing policy prohibiting the sale of e-cigarettes to minors, the ordinance ensured kids couldn’t redeem e-cigarette coupons and outlined how the county would handle enforcement. Because people can use electronic smoking devices to consume nicotine, marijuana, and other substances, CCPH used a comprehensive term in the ordinance, “inhalant delivery system,” to cover all possible devices. At the first hearing for the policy, former smokers who credit e-cigarettes with helping them quit and owners of vape shops testified against the proposed ordinance. 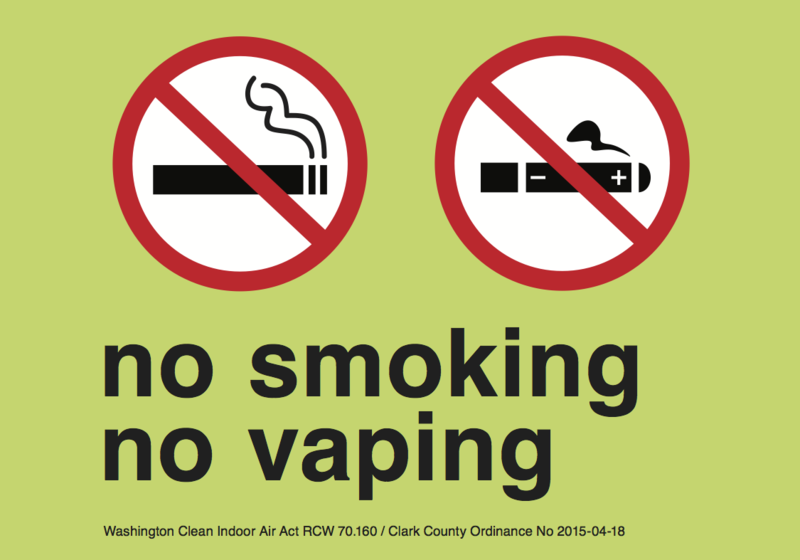 Due in part to these testimonies, the Clark County Board of Health loosened the proposed restrictions to permit the use of electronic smoking devices and e-liquid sampling in stores that exclusively sell those devices. However, to prevent secondhand aerosol from spreading to adjacent spaces and businesses, the ordinance required vape shops to have an independent ventilation system. At the second hearing, supporters of the proposed ordinance testified. “Our partners and local groups spoke out in favor of the ordinance. The young people who testified at the hearing offered important perspectives. The Board really listened to them,” said Drandoff. Through the process, Clark County learned an important lesson: Preparing for industry and community responses is key. “It is critical that public health messaging be prepared to counter false claims about these unregulated devices,” said Cross. In 2015, the Board of Health unanimously passed the ordinance. It has prompted business owners to ask CCPH for required signage that informs people that smoking and the use of electronic smoking devices are not allowed in public places and places of employment, consistent with Washington state law. Photos courtesy of Planet Tyler and CCPH.